Sai throws a muslim boy Shabbir money. Shabbir yells that he worked hard for these 25 paise, picks coins and cleans them with his scarf. Sai picks coins and reminisces throwing it away when boy gave it last time. He looks at wooden stove, ash clears and he finds a coin in it. He picks that coin reminiscing dropping that coin in stove himself. He then tells Shamsher that his son has learnt to value money; last time when I threw it, Shabbir did not bother as it was his father’s 1 rupee, now he is valuing his hard earned 25 paise. He returns 1 rupee to Shabbir. Shabbir says it is his father’s money, returns it to his father and says now he understood what his father wanted to explain him, he will obey his father always now. He emotionally hugs his father. Father and mother cry joyfully. Atma Ram asks Pari to have food and need not worry as he lost money and is not bothered if it is for his daughter. Pari says she will have it. He walks inside house. Pari thinks she should have Shivratri fasting to clear her mother’s ordeals. Vishwas Rao consoles Shubhangi to just obey her and let him train Pari. Shubhangi says she does not know what to do. Vishwas Rao asks to leave Pari in his house for 1 year, he will train her like Tara. Shubhangi says Pari’s father will never agree. Vishwas Rao says that is he problem in her, she is too obedient to her husband and has to be tough for Pari’s better future. Shubhangi reminisces Pari’s love for her and thinks she cannot stay without Pari, the reminisces neighbors critizing Pari’s dark color. Sai is busy moulding soil when Abdul walks in and asks holy ash as his neighbor is having fever, sees him shaping soil and asks what is he moulding. Sai says shivling, who knows someone may need it. Tara thinks if Pari stays with her father Vishwas Rao, she will become like her and she cannot Pari become a wishless puppet. Once Shubhangi sleeps, she wakes up Pari and informs her what elders were discussing. Pari thinks she cannot stay with Mamaji for 1 year and runs towards Dwarkamayi. Sai senses it and walks towards her route. Pari collapses. Sai picks her. Next morning, Baiza and Aaji get ready to go to temple for festival pooja. Jhiupri walks to Dwarkamayi and not finding him thinks he went out before sunrise. At shubhangi’s house, Vishwas Rao asks Shubangi to think of his plan. Tara does not find Pari and thinks where she must have gone. Atma Ram also gets worried. Shubhangi blames Pari as usual and yells at her husband that Pari is spoilt because of him. Precap: Sai offers guava to Pari. Pari says she has kept Shivratri fast and cannot eat anything. 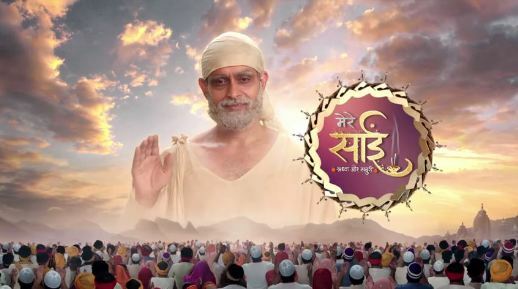 The post Mere Sai 28th February 2019 Written Episode Update: Vishwas Rao’s Evil Plan appeared first on Telly Updates.